Mediation is an assisted conversation that helps you resolve problems. You meet with a neutral mediator – not your attorney or your spouse’s – to talk about the decisions you face during divorce or other family dilemmas. Such discussions without a mediator can quickly degenerate into negative, hurtful, or angry interactions. A neutral mediator helps you can talk about difficult issues in a more productive way. A mediator does not make decisions for you. You and your spouse know best your needs and those of your children. This makes you best positioned to make decisions about your divorce settlement. What you may not be sure of are all the issues about which you need to make decisions and the available options. That is where a mediator can help. Divorced parents will inevitably encounter each other at events throughout their children’s lives. We all know warring ex-spouses whose children worry that every moment spent with one parent upsets the other. But it doesn’t have to be that way for your children. Soccer games, school plays, graduations, and weddings can be joyful events if couples are able to process their divorce in an honorable, respectful way. You and your spouse will meet with the mediator for one or more sessions. In these sessions you will discuss issues you are required to address when divorcing, and cover topics beyond those required by the court such as children’s college education, shared childcare, or how to deal with future conflicts to ensure children will not be caught in the middle. On average, couples utilize two or three, two-hour sessions. You may need fewer or more, if you have children, own a business, or have significant assets. The length of time between sessions is up to you. You can choose to keep the momentum going and schedule sessions two weeks apart, or schedule them farther apart to gather documents or thoroughly think about options. Once you reach agreement, the mediator puts everything in writing for your review. You will return for a final session to fine-tune the agreement, if needed, and sign an original. It’s important not to rush the process and to fully address each concern so you emerge with a satisfying, enduring, and comprehensive agreement. Do we need an attorney if we mediate? Attorneys and mediators fill different roles. Your mediator assists with reaching an agreement which forms the basis for your Judgment of Divorce. Your mediator will present legal information. However, to remain neutral, the mediator will not provide legal advice. An attorney helps you understand the laws related to your divorce, provides advice about the decisions you face, and prepares the paperwork to file and finalize your divorce. The point at which you bring an attorney into the process is up to you. Some people choose to reach a tentative agreement and review the agreement with an attorney before signing. Others seek advice from an attorney throughout the mediation process. Do what meets your needs. If you choose mediation, consider working with an attorney who also regularly works as a mediator. This person will look out for your interests while supporting your goal of fairness for your whole family. They will honor your commitment to deal respectfully with one another and also make certain you understand the agreement you are considering, advise you about possible outcomes, and perhaps suggest helpful issues to bring up in your next mediation session. Conversely, some attorneys do not understand how to work with a client who has chosen mediation. Attorneys accustomed to litigating frequently believe you are better off to leave the decisions in your attorney’s or judge’s hands. The cost of mediation varies with the number and length of mediation sessions, and this is different for each family. Fees are charged at an hourly rate, which will be discussed at your initial consultation. Most people choose to split the mediation cost equally. However, you may agree to a different percentage split. In most instances, mediation is far less costly than litigation. Mediation puts you in control of your schedule, the expense, the outcome, and your future. You do not have this level of control when you litigate your divorce. Fear surrounding the uncertainty of divorce can lead people to “clean out” a bank account, run up a charge card, hide documents, or worse, hide children. Mediation provides an early opportunity for couples to avoid these destructive actions. 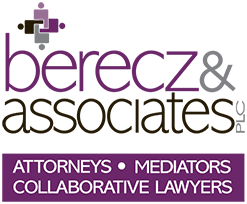 Mediation can be a tool to help both parties discuss and implement a plan in an orderly way rather than acting out of fear or anger– avoiding excess court and attorney fees, court appearances, and unnecessary stress. Mediation gives you time to try options you’re considering, including parenting arrangements. A schedule can be tried for a few weeks and the pros and cons discussed at the next mediation session. Rarely is such a luxury provided in litigation. The anticipation of a court appearance can cause sleepless nights and anxiety. Yet during these stressful times, jobs have to be maintained and children cared for. Mediation can help you avoid the stress of court appearances and retain more of your financial and emotional resources for children, work, church, friendships, and life in general. Agreements reached together are more likely to be followed than decisions imposed by the court. People are remarkably creative at finding ways to just barely comply with an “order” and still make the other party’s life miserable. These scenarios can be avoided when you implement decisions you both helped to shape during mediation. If you have children, we suggest you individually work through the program found at www.UpToParents.org. This award-winning website enables you to commit to keeping your children’s needs central in your decision-making. At your first session, it is helpful, but not required, to bring a list of the assets you own, as well as a list of all your debts. At some point you will need to bring evidence of the value of each asset and a statement showing the balance owed for each debt. Contact us for a checklist of documents needed. Most importantly, be open minded and committed to fairness for you, your spouse, and your children. That commitment will be tested as you grapple with difficult decisions. But you, like thousands of other couples, can emerge from that process with an agreement that works. It won’t be 100% of what you want, nor will it be 100% of what your spouse wants. That is the nature of compromise. But it will likely feel like an acceptable settlement with which you can live and so can your children. We commend you for choosing a process that allows you to divorce with dignity, and look forward to supporting you throughout the mediation process. Real Simple Magazine asked its readers, “What has been your biggest success in life?” People wrote about completing a marathon, or finishing medical school at age 48, or conquering anorexia. But the response that caught my attention read as follows. I’m proud of how I conducted myself during the divorce. I worked things through with my ex-husband so my daughter would not be caught in the middle, and I moved on without blame or excuses. It was a painful time, but I handled it in a way that I hope my daughter will one day be proud of me as well. –Real Simple, Sept 2004. We wish the same pride for you and your children.